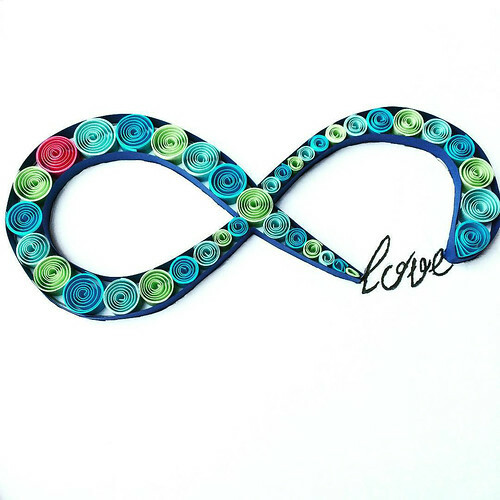 I'm always on the lookout for artists who are updating classic quilling in contemporary ways. Isil Pinarbasi of Isil Paper in Istanbul, Turkey is one such person. 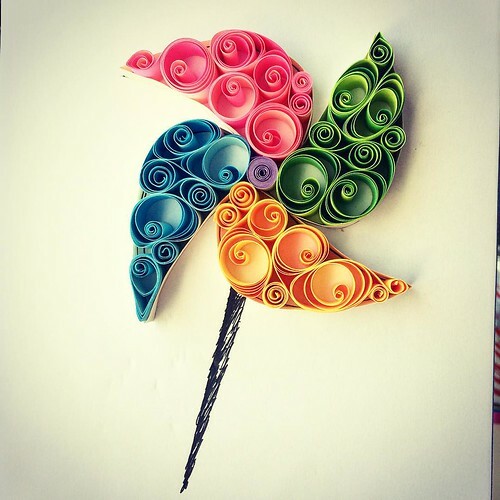 A longtime illustrator, she came upon quilling while searching for art supplies online just seven months ago and was excited about its possibilities. Isil ordered immediately papers and basic tools via the internet and taught herself to quill by doing practice projects like this one. 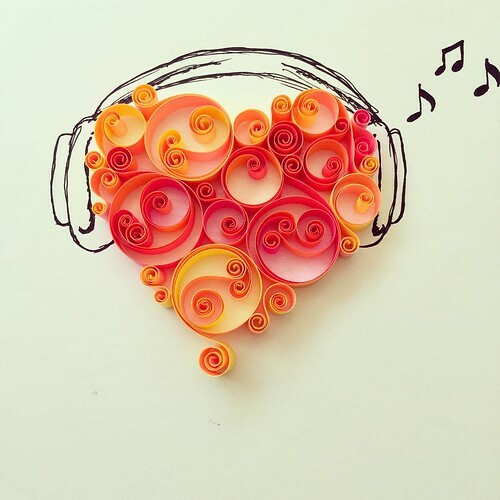 Soon drawing was no longer her favorite thing to do, but in time she missed it and so began combining sketches with quilled elements. Isil says one thing she especially likes about quilling is that you can shape paper strips into whatever you imagine. I'm especially impressed by her variation of the vortex coil created by Licia Politis several year ago. You can see the original vortex (that I have yet to master!) in Licia's Fruit Bowl pineapple. Isla's coil has a triangular center - so cool. 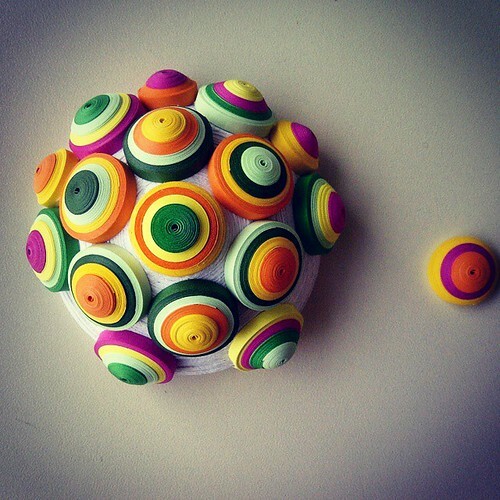 Isil is on Instagram as partialart. Her Vortex coils are impressive , I am inspired to try it out. These designs although reminds me of Sena Runa's awesome quilled pieces. Hi Suganthi, I had the same thought. 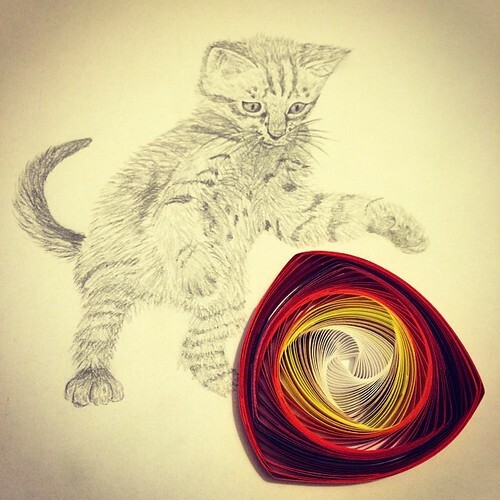 The way she is combining pen and ink with quilling is reminiscent of Sena's wonderful art. I don't necessarily see that as a bad thing... where would the art world be if people were not inspired by others? We can look back at Impressionism, for example. Just think of the many who quill in Yulia's style, yet their work will never be just the same as hers. 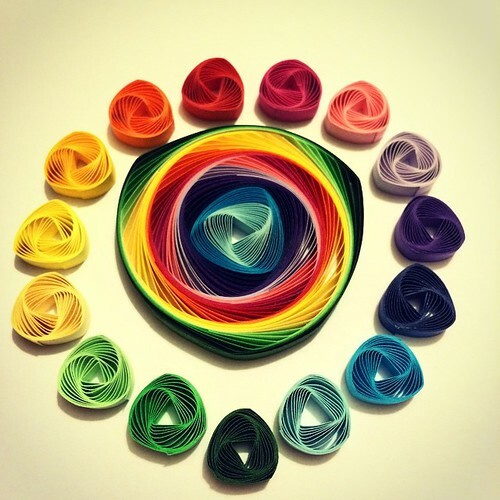 Remarkable vortex and very clever quilling ideas! I'm glad you liked seeing Isil's art. Oh my!..They are all so pretty! Merhaba isil hanim.Ben Luleburgazdan.Halk egitimde quilling kursu vermekteyim.Turkiye de bu el sanati ile ugrasan kisi sayisi cok az.Sizinle tanisip bilgi alisverisinde bulunmayi cok isterdim.Eger siz de isterseniz face adresim var.HOBY Quilling.Size calismalarinizda badarilar dilerim. Wow, I LOVE her vortex work! Pily and Honey, yes, they are stunning!